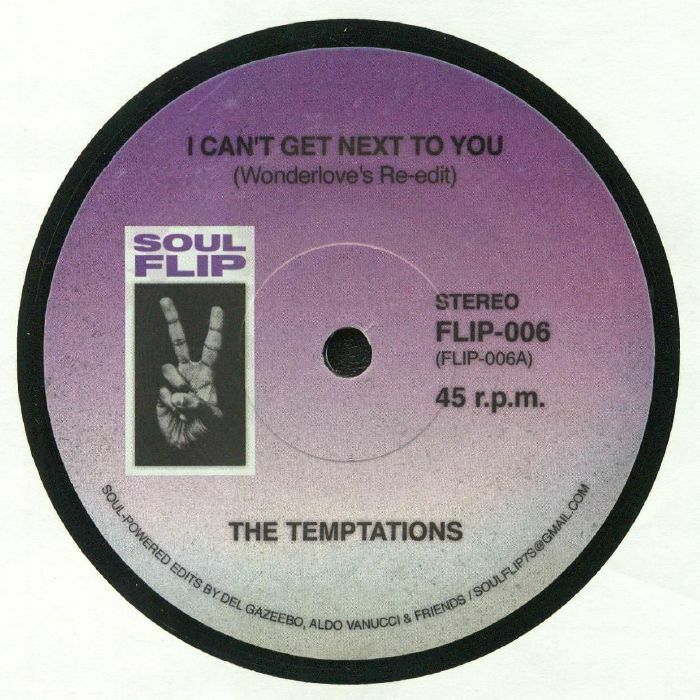 Wonderlove is the re-editor at the controls for the latest edition of the Soul Flip reworks series, which this time boasts tidy rearrangements of killer cuts from the Temptations and Jack Hammer. It's the former's 1969 single "I Can't Get Next To You" that gets the rework treatment first, with Wonderlove making merry with the track's jangling piano riffs, hybrid rock/soul groove, insatiable vocals and much-sampled drum breaks (which get extended for added dancefloor pleasure). If you're in the mood for something heavier and fuzzier, the "Short Re-Edit" of Jack Hammer's insatiable, spiraling funk workout "Swim" will have you dancing like you've got ants in your pants.